How do I add a user as a subcatalog admin? As a Catalog admin, you can assign other Catalog users to be subaccount admins over an individual subcatalog. This feature allows you to delegate administration tasks such as downloading reports and managing listings. However, subaccount admins cannot manage API functionality for the subcatalog. Subcatalog admins can be any user who already has a Catalog account. Please note that any subaccount admin also inherits rights to manage any subcatalogs within a subcatalog. Click the Sub-Catalog Admins link. In the search field , enter the name of a Catalog user. When the name displays, click the user's name . In the Catalog drop-down menu, select the name of the catalog that you want the user to manage. Click the Create Subcatalog Admin button. View the user added as an admin. To add another user, search for another user in the search field. To delete a user as a subcatalog admin, click the Delete button. 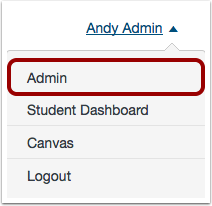 Previous Topic:What customization options are available in Canvas Catalog? Next Topic:How do I access the Catalog API? Table of Contents > Admins - Catalog > How do I add a user as a subcatalog admin?